I recently attended Minicon 48 in Bloomington Minnesota. It was a wonderful weekend full of interesting discussions and reconnecting with old friends. I could go for the standard “Con Report” style blog post where I give you tidbits about my weekend, or I could go in depth over the course of several posts about the conversations that intrigued me the most. I’m going with the latter option. She looked up and there he was. Walking up to the other end of the bar – the perfect man. His dusty brown hair just long enough to get messy if she ran her hands through it and hanging like curtains around his deep dark eyes. His nose lead down from there to kissable lips surrounded by just the hint of stubble. She could feel those lips on her own from over here. What good is kissing if you aren’t hugging too. If you are looking for the New Years Blog Hop from Carrie Ann’s Blog Hops, please click here. 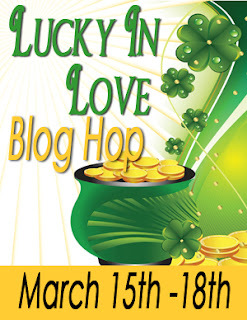 The Next Big Thing is a rolling blog hop that’s been going around for a while. I was tagged by the lovely and talented Devin Harnois. I’ve been a very good girl this year. Well, OK, maybe not that good, but I was nice more than I was naughty. Even when I was naughty I was trying to be nice. I’m sure HE thought I was nice (He had a funny way of showing it so I hope you’ve got Him on the naughty list).